Summer is here and it’s time to share recipes and entertainment ideas for outdoor living! What are your favorites on the grill? If #KBtribechat had a summer party what would you bring? Share your outdoor living entertainment tips to wow your guests! We want to see pics. Where do you find recipe inspiration? Share your favorite sites! Join this Twitter Chat fun on Wednesday, July 9 from 2 to 3pm eastern time by adding #KBtribechat to your tweets! 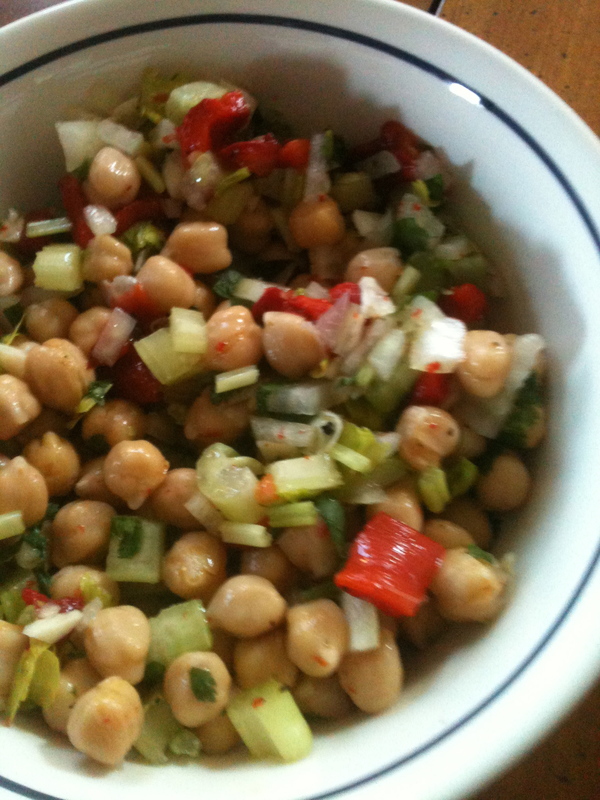 In a bowl, combine garbanzos, peppers, onion, celery, garlic, cilantro, vinegar, and lemon juice; add salt and pepper to taste. Cover and chill at least 2 hours or up to 2 days. Here is the transcript for this KBtribechat. It is full of summer recipes and ideas.